If you are considering treatment for fluid in ears, you will want to find out what is causing the fluid to be stuck. Once you’ve narrowed down a cause, you can choose the right treatment to begin removing fluid. While a medical professional can help you accurately pinpoint the cause and provide the best treatment for middle ear fluid or fluid in ear, here are some common reasons why someone would have fluid in his or her ear and treatment options to pursue. What Causes Excess Ear Fluid? Because a variety of circumstances can make fluid remain in the ear, it’s important to determine the cause in order to administer an effective treatment for fluid in ears. Swimmer’s ear is a bacterial infection of the skin in the outer ear canal. When water collects in the ear canal and is trapped by wax, it serves as an inviting area for bacteria to grow. Swelling, inflammation, and mucus in the eustachian tubes from an upper respiratory infection or allergy can block the tubes, causing the accumulation of fluids in the middle ear. A bacterial or viral infection of this fluid is usually what produces the symptoms of an ear infection. Otitis media with effusion is inflammation and fluid buildup in the middle ear without bacterial or viral infection. 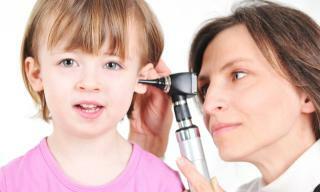 This may occur because the fluid buildup persists after an ear infection. Eustachian tubes may also be blocked for other reasons unrelated to an ear infection. Several home remedies can help alleviate ear pain due to fluid trapped in your ear although seeing a medical professional is still advised. If these home remedies do not work, a trip to a medical professional will determine the proper treatment for fluid in your ears. If a medical professional determines the pain is due to a virus, antibiotics usually will not be prescribed. However, if bacteria is the cause, antibiotics or other ear treatments like ear drops will usually be prescribed. FastMed is open every day of the week, including nights and holidays, to help recommend treatment for pain due to ear fluid. Visit your local FastMed today.